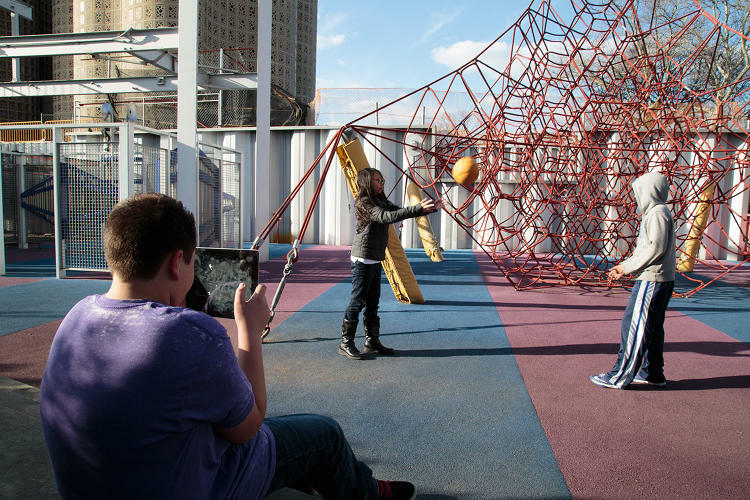 How can we leverage the way kids naturally play to teach math and science concepts? Working with the New York Hall of Science to give students an active role in their own learning, Local Projects used the suite of powerful sensors built into Apple iPad to make each math or science concept come alive in five different Noticing Tools apps for IoS. To make the apps even more effective tools for teachers, an online platform was designed to enable teachers collect data on how their students are using the apps. The Local Projects engineering team continues to collect data from (and collaborate with) educators to improve these powerful tools. Anecdotal data from teachers indicate that some summer school students’ scores improved by 50% after introduction of Noticing Tools apps.